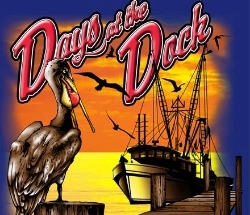 One of the most popular events that Holden Beach, North Carolina, is known for is Days at the Docks. This is a festival that includes two days of fun from 9 a.m. to 5 p.m. on Saturday, April 26 and Sunday, April 27, 2014. The event is held under the Holden Beach Bridge on Jordan Blvd. There are lots of fun activities for the whole family whether you’re a resident or a visitor coming to the area! The Holden Beach festival includes over 30 of the finest art and craft vendors in the coastal area displaying their crafts along with over a dozen food vendors. There will be plenty of entertainment at the Pavillion, too. Bring your dancing shoes or cowboy boots and plan to shag or two-step around with your favorite partner. There will be a street dance on Saturday, April 26. Don’t miss the Home Depot workshop for children, a horseshoe tournament the Almost Amazing al with his balloons, Miss Jenn’s Face Painting, Harvest Fellowship with new games and lots of prizes. Bopple sales are $1 each, 6 for $5 or $35 for a full sheet. There will be three $100 winners chosen. On Sunday, April 27 there will be a Worship Service at 8 a.m. that’s open to all. At 10 a.m. a Motorcycle and Car show will be held. At 12 noon there’s a Rock the Dock Singing Competition that promises to be a whole lot of fun. And at 2:30 the Bopple Race is taking place. Awards will be handed out beginning at 3:30 p.m.
Come join these popular Days at the Docks where there’s lots to do for all age groups. Free admission and plenty of free parking. For more information about the festival call 800-426-6644 or 910-754-6644. For local accommodations call Sloane Realty toll free at 866-931-5201. Previous Previous post: We’re Giving Away a Free 1 or 2 Night’s Stay!